I’ve already finished my 25lbs bag of protein from CanadaProtein, and I’m nearly finished the 10lbs bag of Optimum Nutrition. 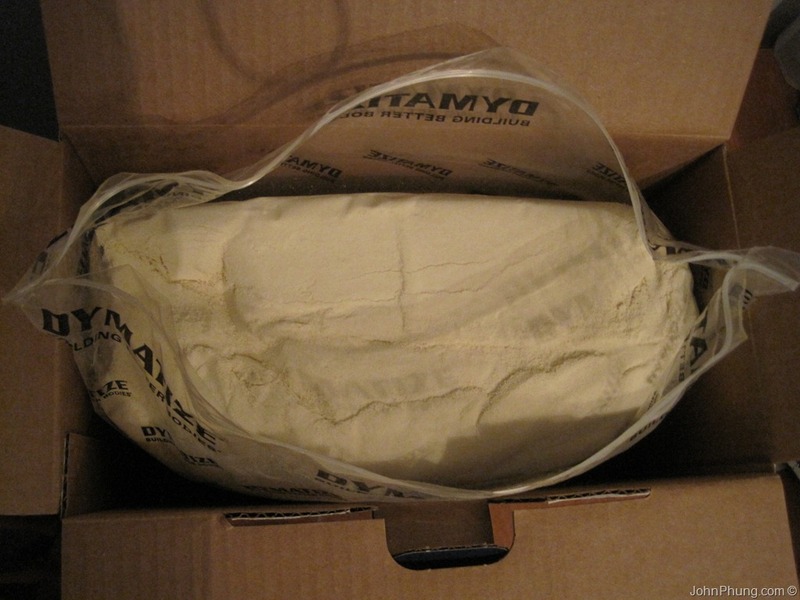 So I decided to open up the 10lbs box Dymatize Elite Whey Protein Isolate I had sitting around and making my living and dining room smell delicious for a few months. The flavor is “Gourmet Vanilla”, and unlike the other proteins I have purchased in the past, it comes packaged in a box, rather than a food grade bag or plastic container. 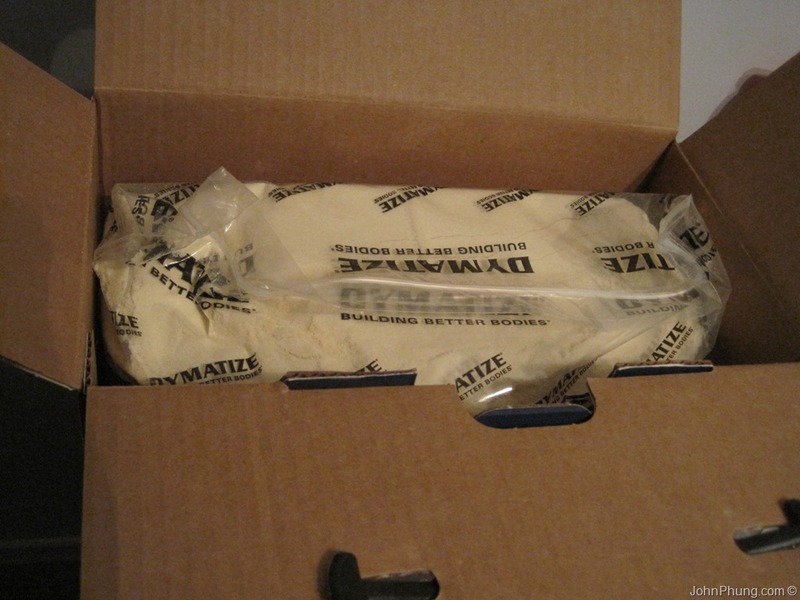 This seems to make sense from a merchant’s perspective: it would be easier to store and stack boxes on top and beside each other compared to bags or tubs of protein. 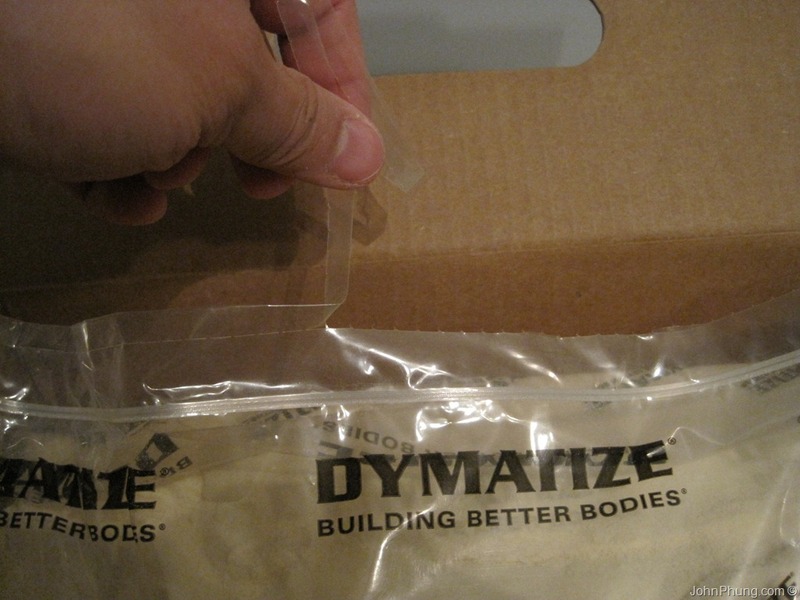 Upon opening the box, I saw that the protein was inside a huge Dymatize branded zip lock bag. I felt some powder on the outside of the bag before opening it. I’m not sure if there was a hole in the bag or the powder was a result of the package process. The bag felt thinner than I’m used to, and the zip lock seemed a little flimsy compared to the bag from Optimum Nutrition, and other food grade bags that I’ve come across in the past. 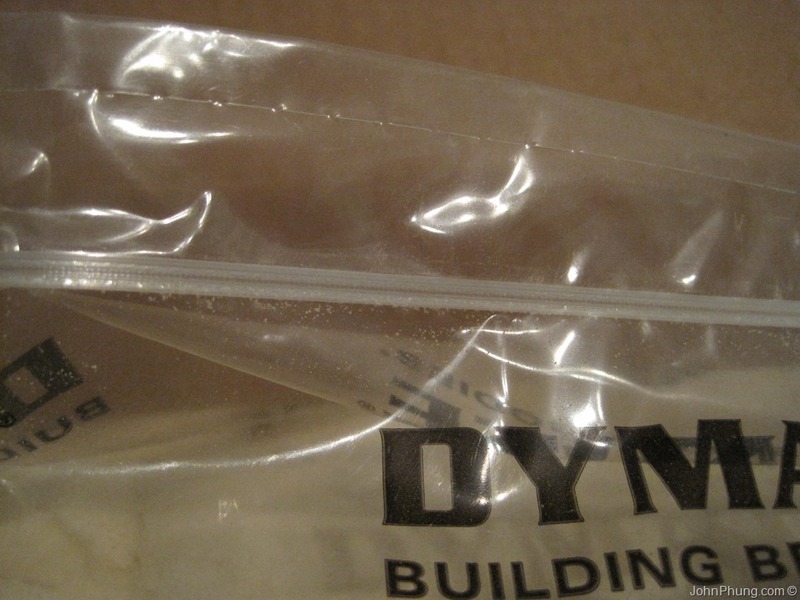 Even the sandwich zip lock bags feels more secure. When I opened the bag, the aroma of artificial vanilla rushed into my nose. It smelled great! Unfortunately, the scoop was not at the top (does this even happen in real life?? 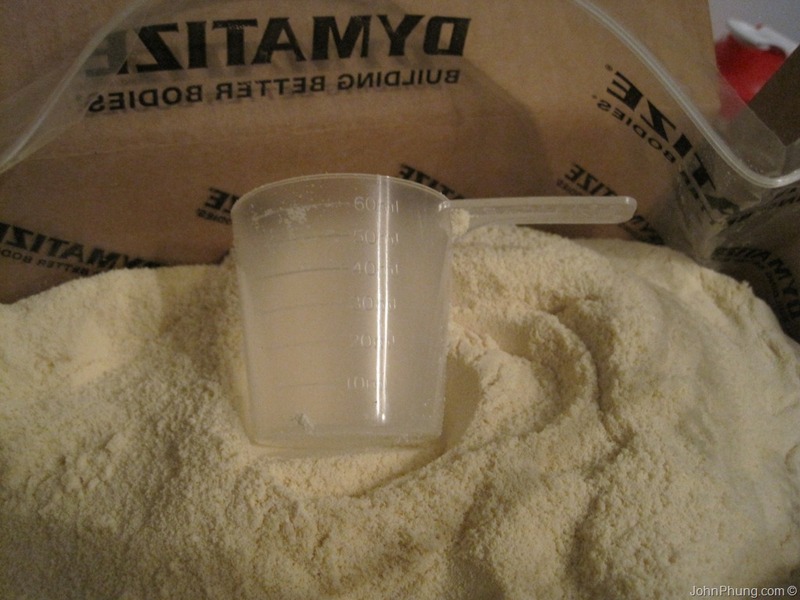 ), so I used my old scoop from another batch of protein to dig around. 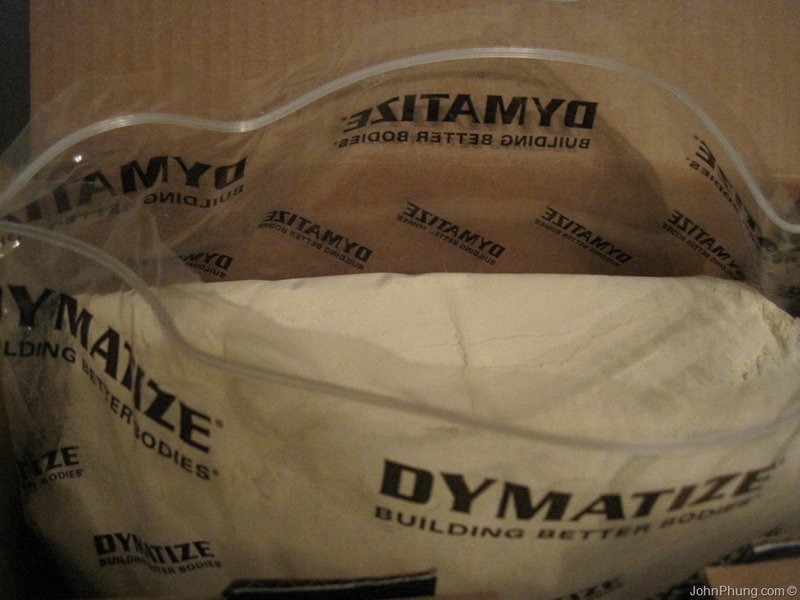 The Dymatize scoop wasn’t hard to find since it was just below the surface. This scoop is branded, and there are 2 sets of measurements on the side. 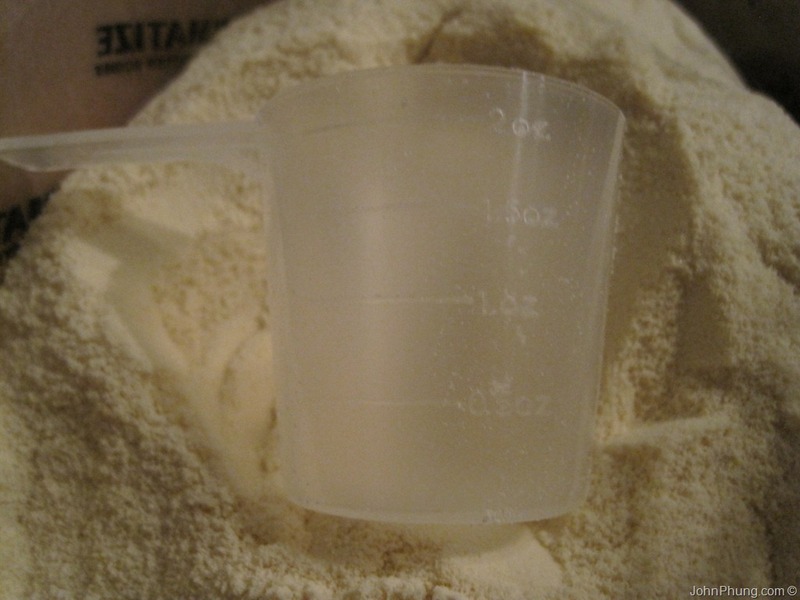 This would make it easy to get the exact quantity of the powder if you’re into exact measurements. It’s also narrower at the bottom. I’m not sure what function this serves however. 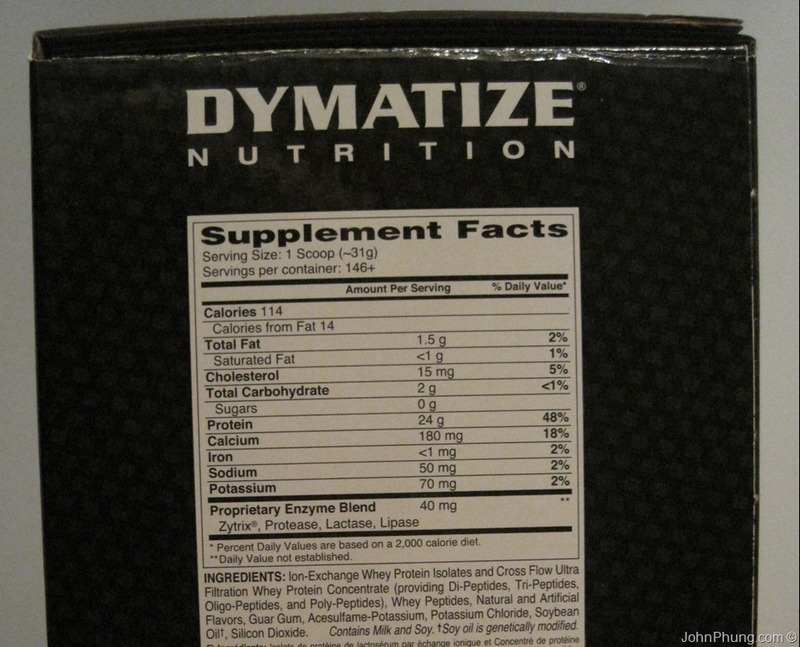 Even though the brand name is “Dymatize Elite Whey Protein Isolate”, it’s actually a mix of whey protein isolate and whey protein concentrate. Unfortunately it doesn’t list the exact quantities of each, but since whey protein isolate is listed first, I’m assuming that there’s a higher ratio of WPI to WPC. There’s also a proprietary enzyme blend to help with digestion. I’m not sure if this really works, but I haven’t experienced any sort of bloat or gas from this product. The sweetener used is acesulfame potassium. I don’t believe I have ever tried this sweetener before. I mix whey protein in my morning coffee. I also mix 2 scoops of protein with water and drink that throughout my workout. Dymatize Elite Whey Protein Isolate mixes great at first, but it leaves some residue at the bottom of my mug (shown below) and shaker cup. I’m not sure what this residue is, but I haven’t seen it with the other protein powders that I’ve tried. It tasted horrible. Probably the worst tasting powder that I have put in my mouth since the vanilla flavored “Mega Mass 2000” I took back when I was a bone rack in the 90’s. This protein also leaves a bad aftertaste in my mouth. It might because of the acesulfame potassium. Apparently, this sweetener leaves a bitter aftertaste if your mouth. I’m not sure if I would describe it as bitter. It’s more like YUCK. I got this during a free shipping promotion from BodyBuilding.com, so all I had to pay was $86.99. Normally I would have to pay for shipping and additional charges, so this was a good deal. It worked out to be $8.70 per pound of protein, which is a little bit more than the 25lbs bag I got from CanadaProtein.com earlier this year. I’m going to have to ingest 10lbs of this stuff. Guess I’ll man up and down this protein 1 day at a time. 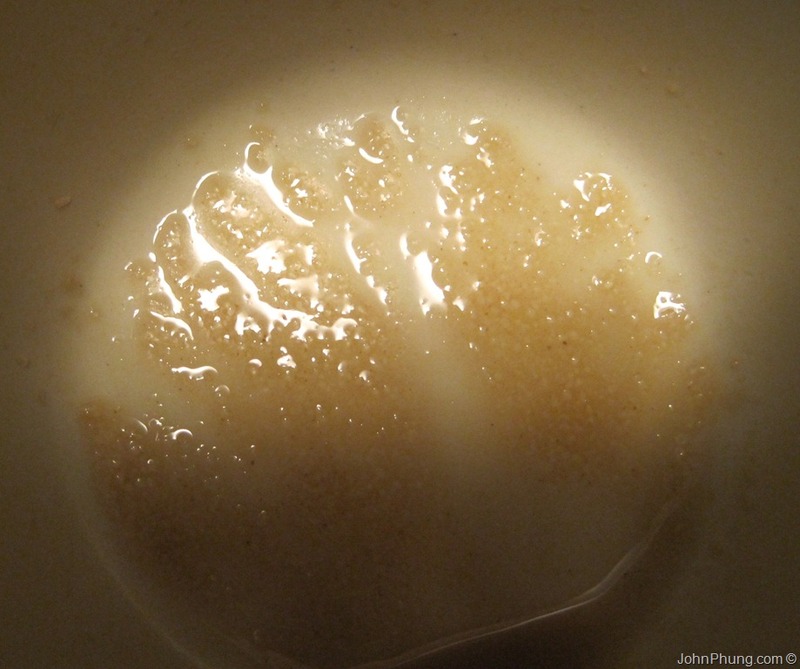 And here’s the thing about whey protein reviews. I can’t verify the contents of the package, so I can really judge on a matter of taste, mix ability and other things that I can observe. Personally I don’t like the taste, but taste is really subjective. 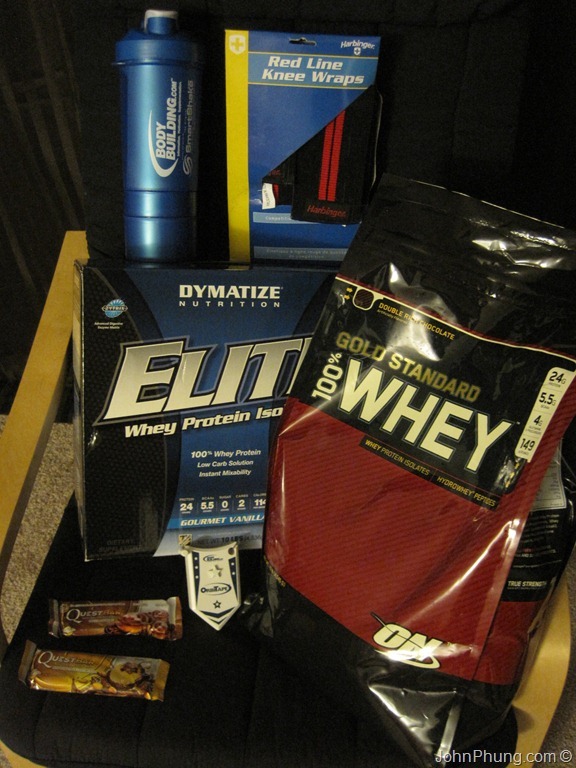 Read what other people have to say about Dymatize Elite Whey Protein Isolate. It does have an overall rating of 8.7 on Bodybuilding.com, and I just noticed that most of the reviews are about the flavor Rich Chocolate. Dammit I should have looked at this more closely before buying. I have less than 10lbs of protein left from the 25lbs bag I got from Canada Protein a few months ago. I needed to buy some protein soon, and luckily I stumbled upon a free shipping coupon from BodyBuilding.com. They reached 1 million Facebook likes on their page last Monday, and to celebrate, they had a free shipping promotion for all orders. 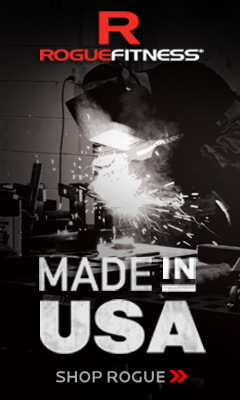 Free shipping is especially great for international orders because even though there are good deals on supplements at Bodybuilding.com, the shipping and duty fees added on top of the sub-total often kills the deal. I don’t recall Bodybuilding.com ever offering free shipping, and since the coupon expired in less than 24 hours, I jumped on the opportunity right away. Double Rich Chocolate, 10 Lbs. 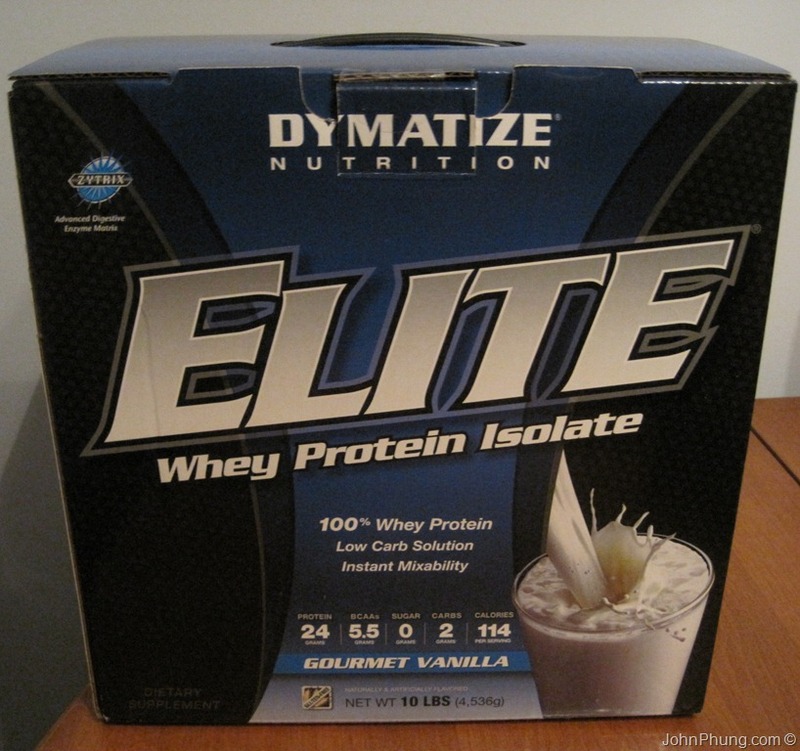 Dymatize Elite Whey Protein Isolate is low cost for 10lbs, and has some good reviews. Trying it out. I was surprised that it came in a box, rather than a bag. Fish oil, taken once a day. ‘nuff said. Curious about how squatting with knee wraps feels like. My MyoTape body tape measure broke, so the OrbiTape is taking it’s place. These were free samples on the Bodybuilding.com’s little-know free sample page. For the free gift, I choose the SmartShake V2 27 Oz shaker because it was one of the highest priced “Free” items, and it looks like a quality shaker with good reviews. Saved $59.99…Not a bad deal! Unfortunately the free shipping deal is over, but you can still use the coupon code (5off100) to get $5 off your order. There is a minimum purchase of $100 however.